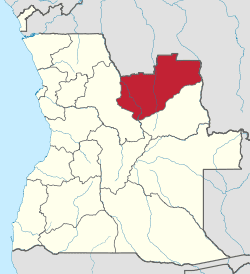 Lunda Norte is a province of Angola. It has an area of 103,760 km² and a population of 862,566. Angola's first President, Agostino Neto, made Lucapa the provincial capital after independence, but the capital was later moved to Dundo. The province borders the Democratic Republic of Congo in the northeast and Lunda Sul in the south. Municipalities in this province include Capemba-Camulemba, Caumbo, Caungula, Chitato, Cuango, Cuilo, Lubalo, Lucapa, and Shah-Muteba. The province is rich in gold and diamonds, but remains vastly underdeveloped and impoverished. UNITA used the money generated from the sale of diamonds to fund war efforts. Cuango River valley, the richest diamond area of Angola is located in the province. 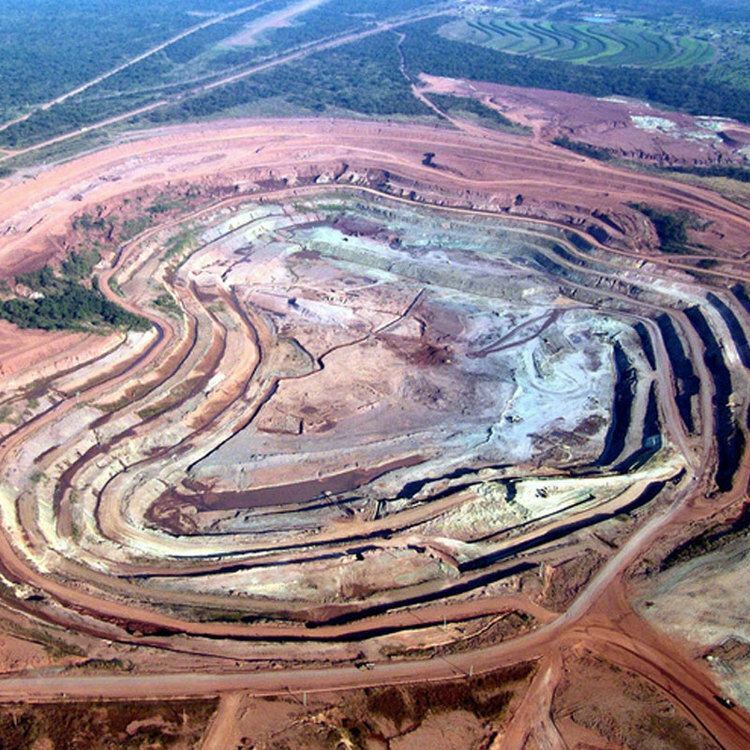 Mining is done by notable companies like DeBeers and Endiama. The Lunda province whose capital was Saurimo was created by the Portuguese colonial empire on July 13, 1895. It was divided into Lunda-Sul and Lunda-Norte subdivisions through a constitution act in 1978 by the People's Movement for the Liberation of Angola (MPLA) government. Iron and manganese mining are also important economic activities. It is well known for its sculptures. The most notable one is The Thinker (O Pensador), a sculpture of a man holding his head. It is rich in terms of flora and fauna. Lunda Norte is populated by Chokwe, Lunda, and other ethnical groups. Ernesto Muangala is the current governor of the province. Lino dos Santos, Deolinda Odia Paulo Satula Vilarinho and Ângêlica Nené Curita Ihungo are the deputy governors for Technical and Infrastructure Services, Economic Sector Area and Political and Social Sector Area respectively. An ethnographic museum located in the province attracts a large number of tourists. During the Angolan Civil War (1975-2002) a large number of civilians were killed in the clashes between National Union for the Total Independence of Angola (UNITA) and Angolan Armed Forces (FAA). Diamond mining operations were also affected. A large number of landmines laid during the civil war are still present in the province. Leprosy and Elephantiasis are major disease which affect the province.